Fourth person has no hands. 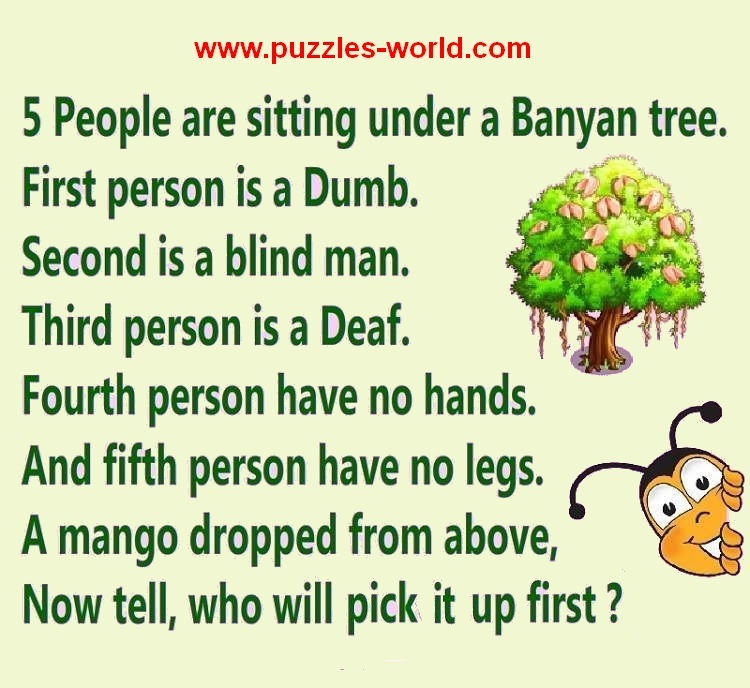 and Fifth person has no legs. Now tell, who will pick it up first ? Can a Mango fall from a Banyan Tree ?